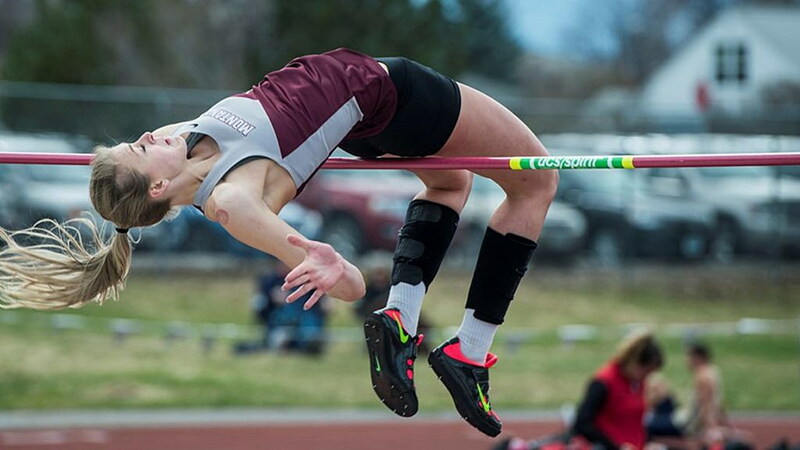 A long, successful year that started at Eastern Washington in early December came to a close for the Montana track and field teams on Saturday evening on the final day of the NCAA West Regional at Austin, Texas. Senior Sammy Evans concluded a stellar five-year career with a 19th-place finish in the triple jump. Junior Matt Quist tied for 16th in the high jump. Evans, who was making her third appearance at regionals, came up short in her pursuit of her first trip to nationals. She fouled on her first jump and went 42-6.25 on her second, the second-best jump of her career and two inches off her school record. Needing to go closer to 43 feet on her final jump, Evans fouled again, an unceremonious end to a program-changing career. The cut to make nationals ended up being 42-11. It was the final competition in a Montana uniform for Evans, who went from a lightly recruited athlete out of Havre High to six-time Big Sky Conference champion and firebrand for a women’s team that has reached new heights since her arrival on campus. “Sammy had an incredible career. What she did for this team as an athlete and as a person, scoring points for us and as a leader, it’s unreplaceable,” said coach Brian Schweyen. Quist, the final of Montana’s 11 athletes competing at regionals, looked like he might save the best story for last when he cleared 6-6.75, 6-8.75 and 6-10.75 with just a single miss. Three misses at 7-0.5, two of which will keep him awake on Saturday night, bumped him out of the top 12 and into a disappointing tie for 16th. “He was over (7-0.5) with his first jump and hit it with his heels,” said Schweyen. “The last jump the bar bobbled. I think on a calm day it stays up, so he was very close. Montana set seven new school records in 2017, which was the ninth year for the Grizzlies under Schweyen as head coach. The program also had more athletes holding top-10 rankings on the league’s combined performance list than any other Big Sky program prior to the outdoor championships. The women’s team had second-place finishes at both the indoor and outdoor championships, and won four individual Big Sky titles. The men’s squad tied for sixth indoors, placed seventh outdoors and accounted for three league titles. “It was a great year. Looking at what we had to battle, as bad as our spring was and how long winter held on, I think it was a really successful year,” said Schweyen.